Have Questions About the Best Vitamins for Kids and Newborns? ChildLife Essentials® has been helping children of all ages grow healthy and strong since 2000. In that time, we’ve had many parents reach out and ask us questions. Here are some of the most frequently asked. Questions About Vitamins, DHA, Omega 3s and More? Why are the Omega 3 oils so important for children? When we look at the brain, we now know that 60% of the brain is made from and runs on fats and oils. We also know now that 50% of these fats and oils is one single fatty acid DHA (docosahexaenoic acid). (Schmidt, M et al 97). So the most important and prevalent nutrient that the brain requires to grow properly and to function properly is DHA, which is found in abundance in Cod Liver Oil. Understanding when and how the brain grows leads us to understanding how essential and important the right fats, oils, and especially DHA are, in infancy and childhood to support this growth. This is why we see studies like this one, from J.Pediatrics, Jan, 2003 that showed that when mothers supplemented their diet with Omega 3 DHA, during pregnancy and also while nursing their baby, that it actually increased the child’s IQ, by the age of four. It’s incredible what one nutrient can do. I have often read that dairy products like milk, ice cream and cheese should not be given when my child is fighting the cold or flu. Is this correct? Most of the time, in most children, eliminating dairy products while your child is fighting a cold, cough or flu will help them win the battle faster and shorten the recovery time. This is because the dairy products often lead to increased congestion and mucus production which compounds the problem during a cold or flu. No matter how much I try, my teenager’s diet is not very healthy. I am concerned that they are not getting enough Vitamin D. Is this vitamin important for teenagers or just for infants and toddlers? Your teenager requires Vitamin D3 and it is a nutrient necessary for health from infancy to adulthood. Vitamin D3 plays a part in the bone building process by helping the body to absorb calcium. Whether your child is an infant or a teen, Vitamin D3 is also needed for a healthy immune system. Additionally, research suggests Vitamin D3 can help maintain heart health as children grow and develop. Can adults use your ChildLife® products? We give our kids First Defense whenever they are around sick kids in order to boost their immune system and they take the Vitamin C on a regular basis. But what about us? Yes, grown-ups will benefit just as much as the kids do. Just take double the serving size, e.g. for First Defense take 1 tablespoon 4 times daily. Are fats necessary for children? I thought low-fat was healthy? The correct fats and oils are an essential and healthy part of every child’s diet and food choices. In the saturated fat category, butter and coconut oil are the best choices. In the monounsaturated oil category, olive oil is a great choice. In the polyunsaturated oil category, sunflower, sesame, and safflower are good choices. For supplementation and to ensure your child receives the “essential fatty acids” that are so important for supporting their brain’s growth and development, Cod Liver Oil is our first choice. Flaxseed Oil, a vegetarian option, is an Omega 3 oil alternative. The Omega 3 oils are derived primarily from fish, and from flax seeds in the plant world. The Omega 6 oils are found in evening primrose and borage seeds. Fats have been given a bad reputation, but really it should be understood that all fats in the right proportions are good and essential for health. The only fats that are inherently bad are the man-made trans-fatty acids that were created to extend the shelf-life of various processed foods and should be avoided completely if possible. Look out for these on the labels of most processed foods and margarines. Why is Cod Liver Oil the first choice for supplementing with Omega 3’s and DHA? It turns out that so many parents in so many countries and cultures around the world, must have intuitively known that Cod Liver Oil is perfect for supporting a child’s healthy brain development and immune system. This is why there is such a widespread history of parents around the world giving their children Cod Liver Oil. It was really the world’s first and original dietary supplement. Research has shown that Cod Liver Oil contains more naturally occurring DHA than any other food source. In addition, Cod Liver Oil contains Vitamins A and D; Vitamin A (retinyl) helps support the healthy development of the eyes (retinas), and Vitamin D supports healthy bone development. Cod Liver Oil can provide the essential fatty acids required to support healthy brain growth, eye development and bone structure. In total these two Essential Fatty Acids, and in particular the DHA, found in Cod Liver Oil, are the primary nutrients and building blocks for our own and each child’s internal bodywide-internet communication system. They are the primary nutrients that our “hardware”, the brain and central nervous system is constructed from, and they are also the primary nutrient that our “software”, the prostaglandin/communication hormones, are made from. It is these prostaglandin hormones which assist and facilitate communication between all of our body’s individual cells and organs. What is the difference between Cod Liver Oil and Flaxseed Oil? These are both Omega 3 oils, and are both widely available in the health supplement market. The primary difference is that Cod Liver Oil contains DHA already. Ready to be absorbed and utilized by our bodies. The flaxseed omega 3 oils need to be taken into our bodies and then converted into DHA. This conversion requires other nutrients like Vitamin B3, magnesium and zinc so depending on each child’s nutritional status and what is happening in their bodies that day, part of the flaxseed oil, may or may not be converted into the DHA, and made available for use. This is not to say that flaxseed oil is not beneficial and another wonderful Omega 3 oil with many benefits. It is just this one aspect of DHA conversion that makes it different from cod liver oil. We live in a sunny, southern state. Isn’t my child already getting enough Vitamin D from the sun? Despite food sources of Vitamin D and the body’s ability to self-produce Vitamin D from sun exposure, recent studies indicate that more than 7 out of 10 children have insufficient Vitamin D levels. There are several reasons why they are not getting enough Vitamin D. Most of us are aware that unprotected, direct sun exposure may lead to serious skin and health problems. As a parent, you probably limit sun exposure for your child and are most likely putting sunscreen on them when they go out in direct sunlight. In addition, chances are that your child is spending more time playing on-line games and working on computers indoors, a lifestyle that is becoming more typical in our society. So consider Vitamin D supplementation to help assure your family is getting the proper levels of this important vitamin. Kiwi Magazine is the preeminent magazine for parents. KIWI and its staff work diligently to bring parents information on the most important issues that are affecting today’s children. ChildLife Essentials® is the recipient of the KIWI AWARD for Best and Safest Products for Babies and Children. Threshold Enterprises is one of the top leading distributors in the U.S. natural products industry, supplying the top retailers and online retailers in the United States with the very best vitamins, nutrients and supplements available. ChildLife Essentials® is proud to be the #1 Best Selling Brand at Threshold Enterprises. This prestigious mark has been attained over all products, in all categories at Threshold Enterprises. This has never been achieved by a children’s nutritional supplement company. Awarded in 2008 and every year thereafter, the MACT Award (Mommy Approved Child Tested) was established by SAFBaby co-founders Sandra and Samantha – two moms that demanded safe, non-toxic, healthy alternatives for all children. The MACT AWARD is a reflection of their hard work, integrity and dedication to safbaby.com. Select Nutrition is one of the leading distributors in the natural products industry, supplying the top retailers the very best vitamins, nutrients and supplements available. 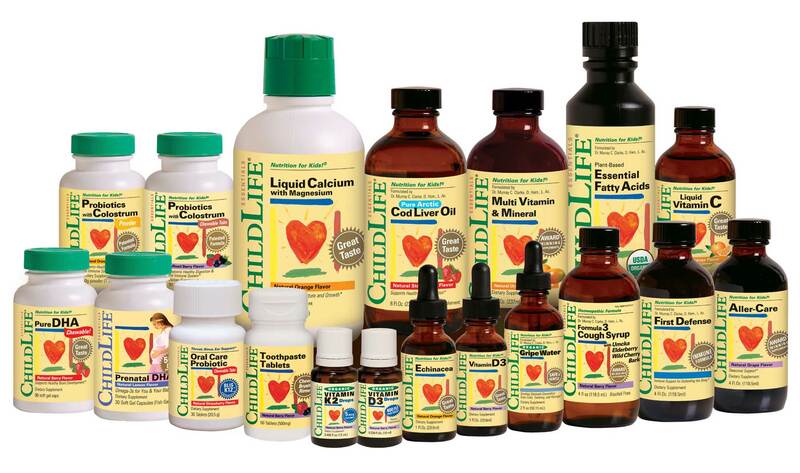 ChildLife Essentials® is proud to provide Select their #1 Best Selling Supplement, “ChildLife Essentials® Liquid Calcium with Magnesium” for 7 consecutive years. Forbes Magazine Romania recognizes that selling children’s products is an act of immense social responsibility. Forbes honors those brands that are exceptional in the hearts of moms. Moms with children aged 0-5 were asked which kids supplement brand ranked highest in trust, safety and quality. In 2016, ChildLife Essentials® Liquid Vitamin C won the award for #1 Brand in Romania. Select Nutrition is one of the leading distributors in the natural products industry, supplying the top retailers the very best vitamins, nutrients and supplements available. 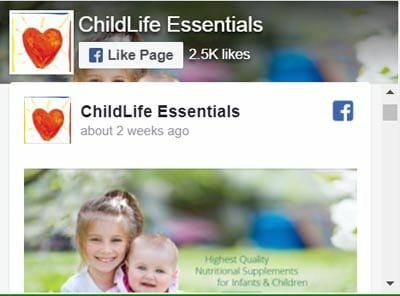 ChildLife Essentials® is Select Nutrition’s #1 Best Selling Brand. This honor has never been accomplished by a children’s nutritional supplement company.